In the ‘Design Properties’ menu bar type in a description (Always, always, always use a description). 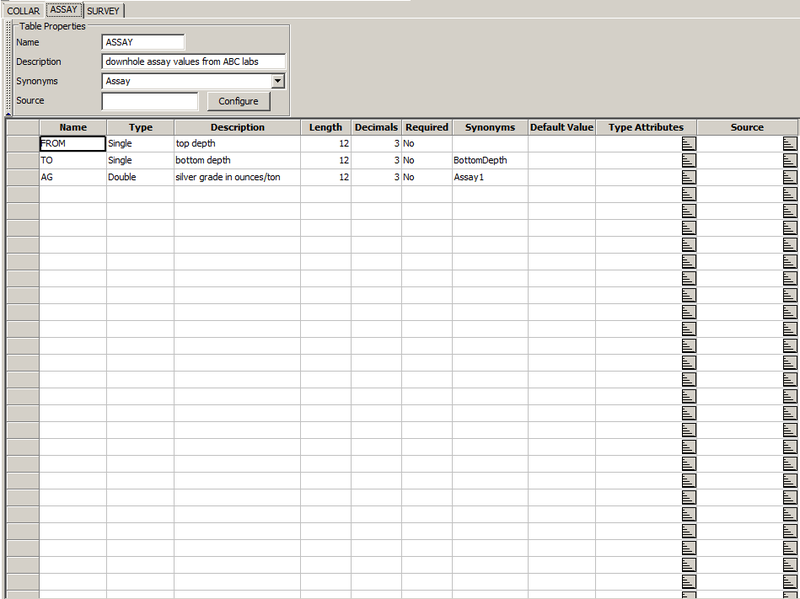 Click on the ‘Attributes’ button to select a database type. In the Design Type panel select ‘Drilling’ from the Type dropdown list. The Desurvey Style drop down list allows you to specify how the down hole survey was taken. It may seem like a small item but the desurvey style has the potential to dramatically affect the location of the toe of your drillholes. 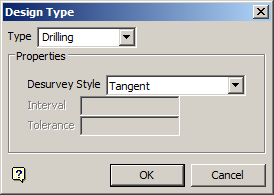 If you are unsure of the desurvey style used during surveying select ‘Tangent’ as this is the most generic method. Click 'OK' to return to the 'Design Properties' menu bar. Leave the Data Source field as the default ‘Isis’ setting. Drillhole collar data and downhole assay data will be stored in tables within Isis. To create an Isis table select the menu option Table > Insert. 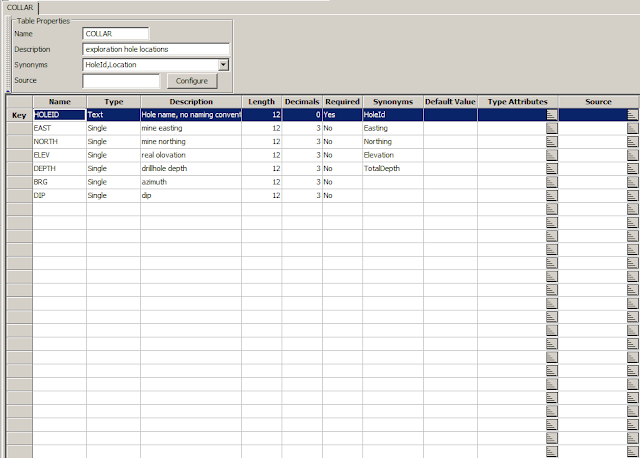 In the Table Properties toolbar enter ‘Collar’ in the Name field. Type in a description (always use a description). 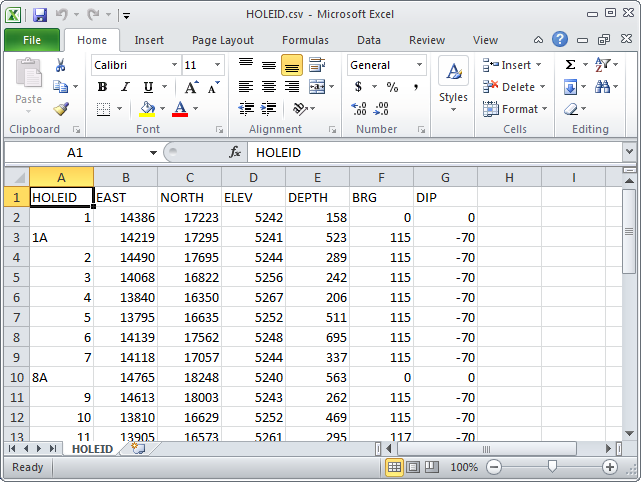 In the Synonyms drop down list select ‘HoleId,Location.’ Leave the ‘Source’ field blank. Name – six characters, all caps. This can be a shortened version of the column name if the original won’t fit. Type – Text: any column that includes a text character. Integer: counting numbers only, no decimals. Single: decimal values up to seven significant characters. Unless you are using full UTM coordinates ‘Single’ decimal values will work. Double: decimal values up to fourteen significant characters, for incredibly accurate numbers (or very low grades). Length – maximum number of characters allowed in the field. The default is 12. Memory will be set aside for each character specified so don’t get too carried away. Decimals – only applies to ‘Single’ and ‘Double’ type variables. Entries with more than the specified number of decimals will be truncated to the correct length. Required – if data is mandatory for a field change Required to ‘Yes.’ The HOLEID row should be required. Synonyms – select synonyms for: HoleID, Easting, Northing, Elevation and TotalDepth to correspond with the row names. 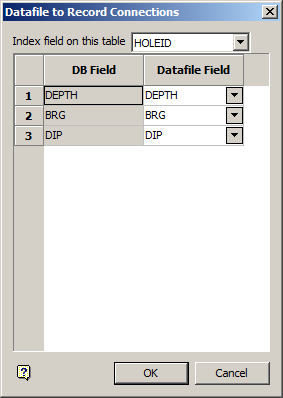 Default Value – this specified value will be used in the drillhole database if there is no value in the csv files. 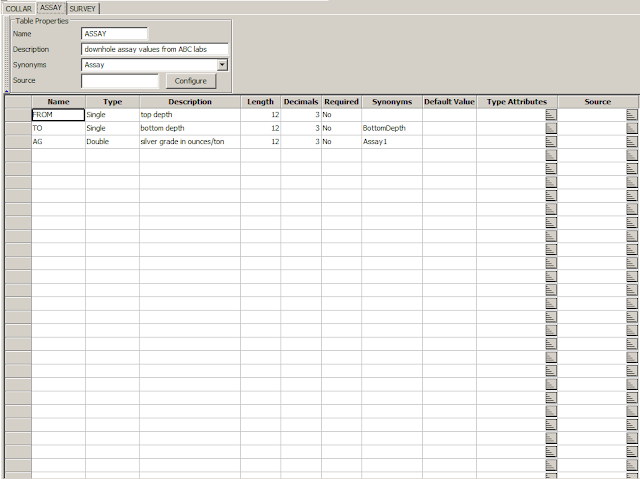 Type Attributes and Source – leave these fields blank unless you are setting up an outside database connection (ODBC). We also want to specify the ‘HOLEID’ as the ‘Key’ field. 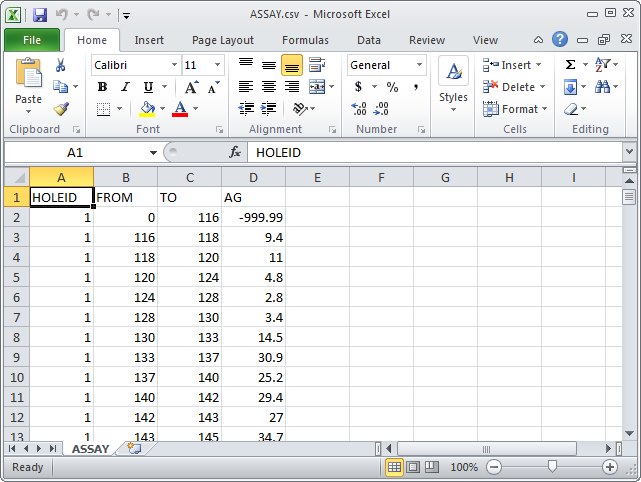 This is the unifying field that appears in all the csv files to be imported. This is the field which ties them all together. Do this by right clicking on the ‘HOLEID’ row and selecting ‘Primary Key.’ The row should now show the title ‘Key’ to the left of the name column. Use the images below as a guide to fill out the table fields. 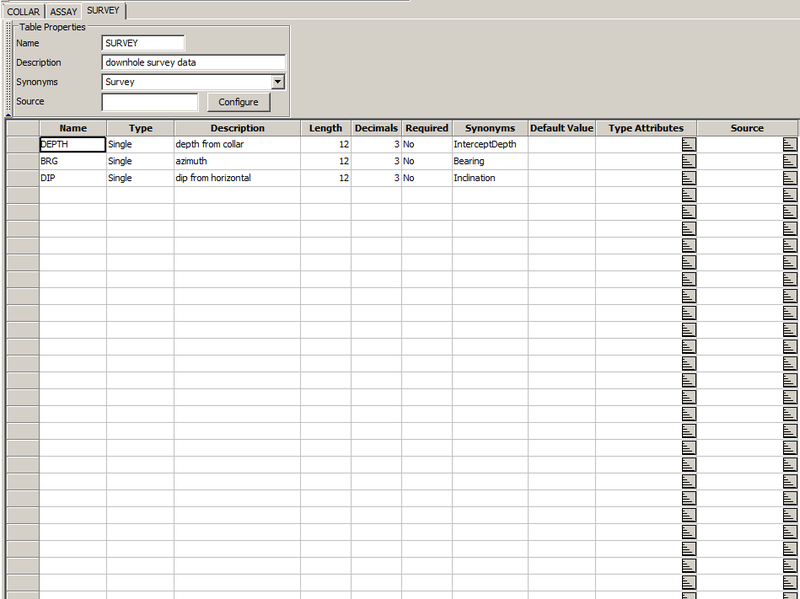 Next we want to add tables for the assay and survey data. 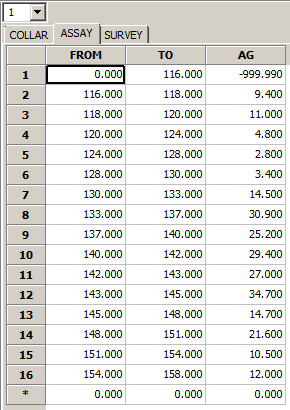 Do this by selecting Table > Append (the table showing the ‘Key’ field should always be the first table on the left). 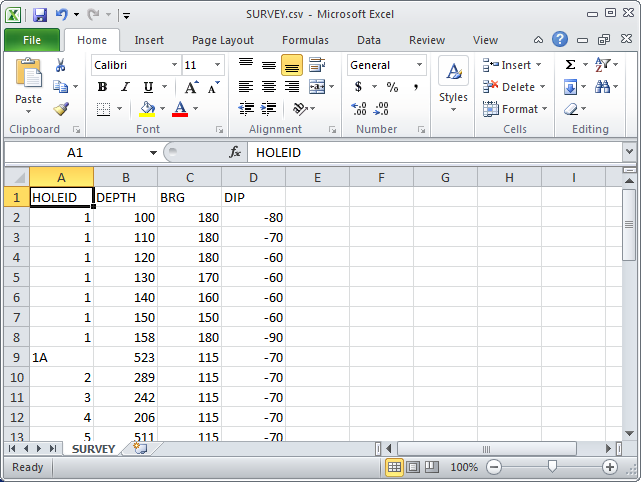 Synonyms for the Survey and Assay tables are 'Survey' and 'Assay' respectively. You do not need to enter the holeid field in these tables because it is assumed that the key field will appear in each table anyway. If you decide to add it to the table anyway that’s okay too. The images below are examples of how I have entered the table data for the Survey and Assay tables. Note: in the Survey synonyms, when it says bearing it really means azimuth. This is a function of Australian software being halfway backwards. Now that we have defined how the database structure should look we can save the definition using the menu option File > Save. Now exit Isis using File > Quit Isis. This will take you back into Envisage so that we can import the csv files into an Isis database. In Envisage select File > Import > CSV (Databases) > Databases. 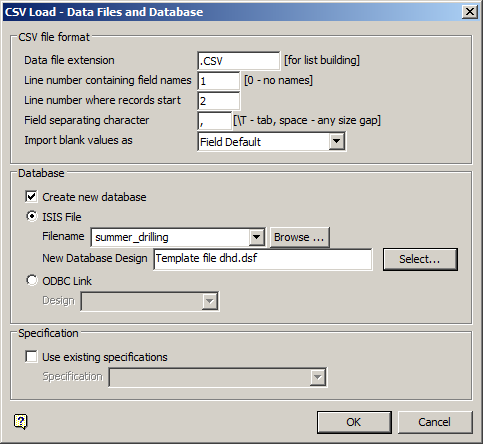 In the CSV Load – Data Files and Database panel we can leave most of the fields as default. If your csv files have one row of header information you can accept the default settings for the line number fields. If your csv files have more than one row of header data or no lines of header data or if there are any blank rows between the header rows and the start of data you will want to change the fields ‘Line number containing field names’ and ‘Line number where records start’ accordingly. 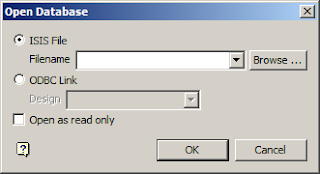 Under the ‘Database’ section of this panel type in a name for the Isis filename. This name should not contain spaces. 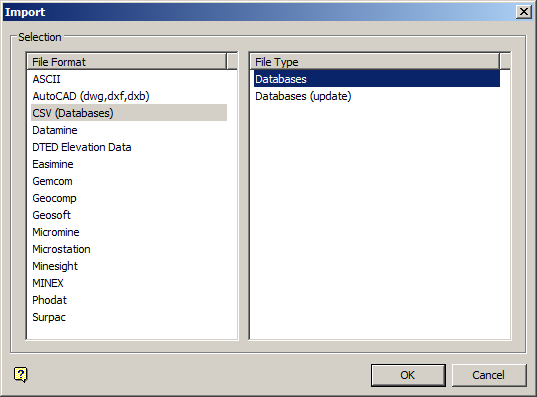 To populate the ‘New Database Design field click the ‘Select…’ button (why no dropdown list and ‘Browse…’ button? I don’t know!). In the ‘Select Design from which to Create Database’ panel select your design file from the dropdown list (why do we need an entire separate panel to show a dropdown list and ‘Browse…’ button? I don’t know this either!!). Click ‘OK’ to accept the values on these two panels. 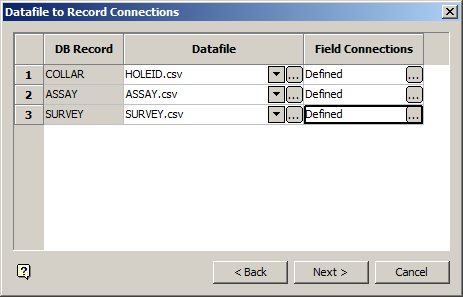 In the ‘Datafile to Record Connections’ panel specify the csv files containing your hole id, assay and survey data either by selecting them from the dropdown list or by browsing to their remote location. Next click the browse (…) button in the field connections column. In the panel that pops up (I would call it by its name but Maptek has chosen to give this panel the same name as the one that came before it) specify the record connection between the dsf file on the left and the csv column on the right. Field names that are exactly the same will be auto populated by Vulcan. In the panels for assay and survey you will need to specify the index field which is really the key field you specified in the design file. This is usually the hole id field. Click ‘OK’ to exit each of the child panels and click ‘Next’ to move on. The ‘Specification save’ panel is intended to allow you to save all the settings you have just set to this point in the File > Import > CSV menu option. These settings can be reused to import data as long as you don’t change anything in the import process. In reality, I seldom want to import using the same settings and am often frustrated that the minor alterations I make to the process prevent me from using the saved specifications. I would recommend not saving your specifications. It is just a waste of time. After clicking ‘Finish’ your csv files will be imported into a new isis database. 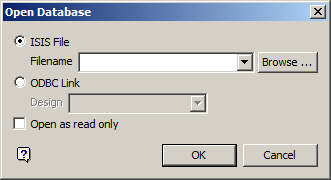 Click ‘OK’ to exit the successful import panel and ‘Cancel’ to exit the import panel. To view your database in Isis click on the ‘Start’ icon in the bottom right corner of the workbench and select Isis. This time you can select your database from the dropdown list in the Isis Filename field. 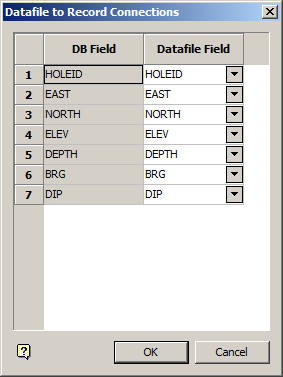 Click ‘OK.’ In the Isis view you can select a specific drillhole from the dropdown field above the database tabs. 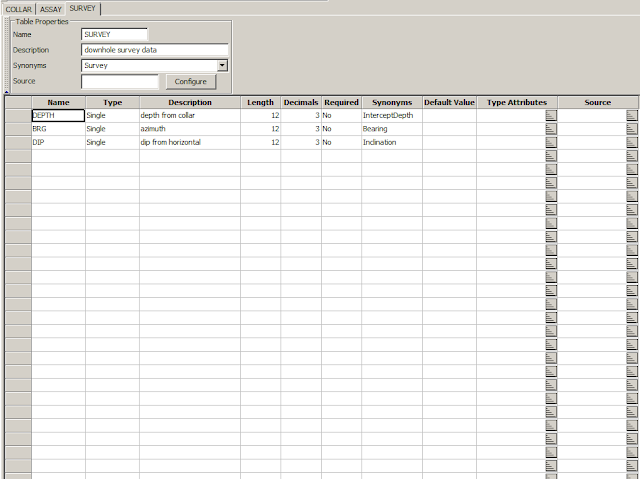 Each of the tabs (COLLAR, ASSAY and SURVEY) holds different information about the database. The COLLAR field is usually pretty boring with just the x,y,z location information. Take a look at the ASSAY and SURVEY fields for more information. Learn to composite your drillhole data to use in block model grade estimation. Thanks for a such a nice post. However after creating a database for a coal deposit, can you please guide how to prepare a geological model for openpit mine planning? I'm glad you like the post. Other details on modeling are coming soon. For other Vulcan tasks (no grid modeling yet, sorry) please see the Vulcan Training tab at the top of this page. Thanks Tony for the early reply. I am basically Minex user using it for coal deposits. I really appreciate your help about educating people in Vulcan so that their dependency on Maptek is minimized. I have gone through most of your posts. May I request you to kindly post only the synopsis (broad steps) for grid modelling till your prepare the details so that I can try something. I am really stuck after creating the database. In Vulcan there are multiple ways to do everything. There isn't just one way to create a grid model just like there isn't just one way to create lines or polygons. I think that the most straightforward way to start working with grids in Vulcan is through the menu: Grid Calc > Create Multiple Surfaces. This panel contains the basic steps to create grids and assign masking. It asks for some specifications file, what is this? I am sorry if I sound like novice. I assume you are talking about the 'Use existing specifications' option in the CSV Load - Datafiles and Database panel or the 'Save the specifications' section of the Specification Save panel later on. In both these instances I would suggest that you not use the save specifications options. You will almost never use exactly the same specifications for importing drillholes. Go ahead and de-select the save or use specifications options. The 'key' field is the one field that is the same for all of your csv files that you are importing. Usually this is the name field for the drillhole. To define this field in Vulcan go to the 'collar' table, right click on the holeid row and select 'primary key' from the pop up list. This should allow you to save the database.